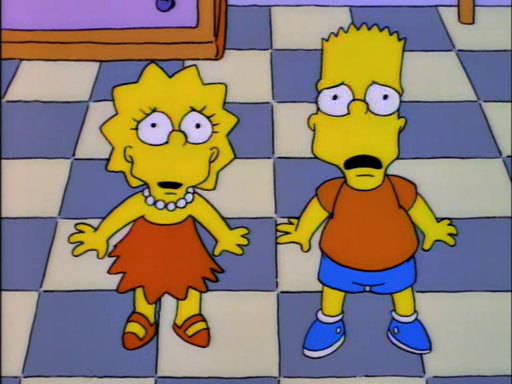 I just love the use of the same exact shot here of Lisa and Bart aghast after Marge says they installed a new birdfeeder, and then again when she says it’s on a really tall pole. Thank God they didn’t go because we all know tragedy struck the Highway 9 bird sanctuary. I believe the height of the pole is what angered the birds so.